For those of you who don’t know, I’ve been a fan of Star Trek ever since I can remember. It was a nightly ritual for me that I couldn’t go to bed until I had watched Star Trek on WPIX here in New York where they reran it for years at 11:00PM. And I’ve seen all the movies in the theaters the day they opened. I’ve watched every episode of every Star Trek TV series. Even “Voyager” and “Enterprise” I estimate I’ve read somewhere between fifty and seventy Star Trek books. I relate all this not to impress upon you how much of a Star Trek geek I am but to let you know that I consider myself pretty well versed in things Trek. So when I tell you that the new STAR TREK movie is 80% on point you’ll have some faith that I know what I’m talking about. The selling points of the movie are twofold: One: it’s directed by J.J. Abrams who has mostly had success in TV with shows such as “Felicity””Alias””Lost” and “Fringe”. But his motion picture track record hasn’t been too bad either what with his work on “Mission Impossible III” and “Cloverfield” Two: STAR TREK is Paramount’s attempt to reboot/relaunch its primary moneymaking franchise with an all new, younger cast playing the beloved characters of Kirk, Spock, McCoy, Scotty, Uhura, Sulu and Chekov as well as giving the Star Trek universe an updated look and feel. For a long time I’ve felt that Star Trek needed new blood. “Voyager” and “Enterprise” suffered from creative burnout as the producers of those shows had been with the franchise since “The Next Generation” and it showed. Star Trek badly needed someone new to come aboard and bring freshness to the material. Thankfully, J.J. Abrams and company have done exactly that. STAR TREK isn’t a perfect movie and there are a couple of things that made me groan but there were also plenty of things that made me grin as well. Three years later, the planet Vulcan is attacked by Nero and his ginormous mining ship. Starfleet heads out to stop him but the ships they send are all destroyed. Except the Enterprise, of course, which is left in the command of Commander Spock (Zachary Quinto) a Human/Vulcan hybrid of frightening brilliance and severely disciplined logic who immediately clashes with the hot-headed Cadet Kirk as to the best way to deal with Nero. It soon becomes apparent that the two men have to learn to put aside their differences and work together because Nero also has plans to destroy Earth. All while meeting Hikaru Sulu (John Cho) Pavel Chekov (Anton Yelchin) and Montgomery Scott (Simon Pegg) who along with Uhura and McCoy will become their lifelong companions in adventure and exploration. The plot in STAR TREK really isn’t all that important or even interesting, to be honest. This is either the third or fourth STAR TREK movie that has had some huge cosmic whatchamacallit heading toward Earth to destroy it and the Enterprise is the only ship able to stop it. Makes you wonder why The Federation even bothers maintaining a Starfleet when it’s the Enterprise that’s always the only ship available all the time. No, the real reason this STAR TREK exists is to introduce us to the new cast, the new Enterprise and set up this alternate universe/timeline so that we can go on to other movies that will hopefully have more engaging stories. The special effects are appropriately dazzling and at times even inspired. I’d have liked to have seen more of the interior of the new Enterprise but what we do see is glitzy to the max. The acting is better than I thought it would be. The new cast wisely doesn’t try to imitate the mannerisms or speech patterns of the original cast. With the exception of Anton Yelchin who deliberately does the Classic Chekov accent. Instead, they channel the essence of what makes those characters work and they pull it off quite well. Especially Karl Urban as Bones McCoy and Zachary Quinto as Spock. Karl Urban has the added fun of throwing off a few of McCoy’s famous lines and he does them excellently. Zoë Saldana doesn’t have as much to do as her co-stars (and dammit, would it have killed them to have her say “hailing frequencies open, Captain” at least once?) A lot of Classic Star Trek fans were upset and confused by the romantic relationship between Spock and Uhura but it didn’t throw me at all. It certainly makes more sense than the revelation in “The Undiscovered Country” that Scotty and Uhura had been having a secret romance for years. Even in The Original Series there were hints that Spock and Uhura were closer than anybody else knew about. There were several episodes where it was shown that in their off hours Spock and Uhura liked singing together, often entertaining other members of the crew. Eric Bana is one of my favorite actors and he disappointed me as Nero. In fact, Nero’s a pretty poor villain. There’s a reason we remember Ricardo Montalban as Khan and Christopher Plummer as Chang: they were magnificently realized villains of Shakespearian stature. Nobody’s going to remember Nero. Neither are they going to remember Ben Cross as Sarek, Spock’s father. Cross is so bland and dull it’s downright sad. The movie is chock full of Easter eggs and winks to the original series and films. I got a big chuckle out of the nod to “The Wrath of Khan” during the scene where Kirk is taking the Kobayashi Maru test. And there’s even a tribble thrown in. Can’t ever have too many tribbles. That’s not to say I loved everything about the movie. There are way too many scenes where Kirk is hanging off a cliff or on a ledge and if you took coincidence out of this movie then you just wouldn’t have a movie. Too many characters just happen to be in the right place at the right time and there’s a coincidence involving Kirk and Spock Prime (as Leonard Nimoy is billed) that made me want to throw something at the screen. And I never got the sense that anybody was in any real danger. 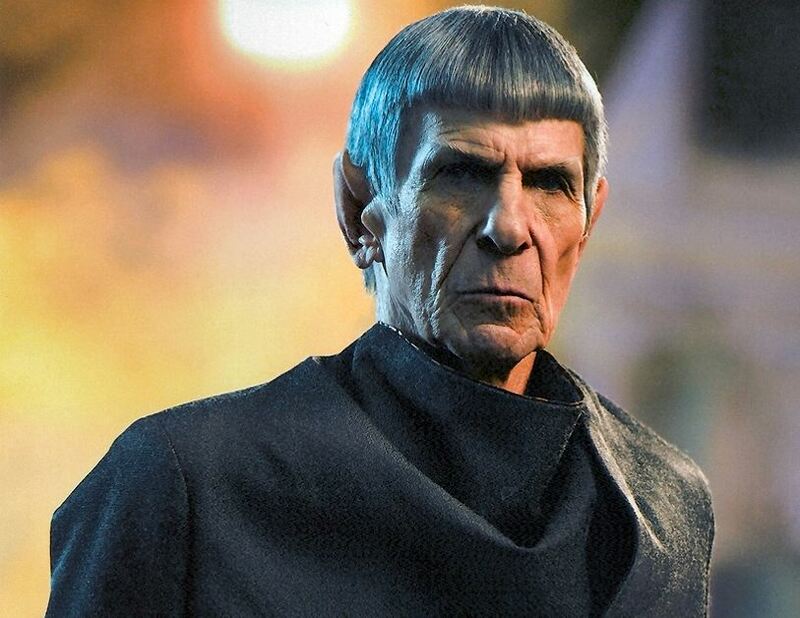 Even though Spock’s mother (Winona Ryder) is killed in the destruction of Vulcan I really didn’t feel any sense of loss since I never got to know this version of the character at all. And speaking of Nimoy, he meshes so well with Pine, Quinto and Pegg in the scenes he has with them I wished he had had scenes with the other members of the cast. It’s a nice lump in the throat moment when young Kirk and the aged Spock meet and there’s a wonderful nod to “The Voyage Home” involving Spock and Scotty. So should you see STAR TREK? If you’re a fan then you’ve no doubt seen it already and have probably seen it a second or even a third time. But this is a movie that accessible to non-fans who just may want to check it out to see what all the fuss is about or who just want a slam-bang space opera. I know, I know…there’s been a lot of debate and argument that this new incarnation of STAR TREK is way too much punchy punchy run run and not enough of the philosophical core at the heart of STAR TREK. And I can see that. But that was tried once in “Star Trek: The Motion Picture” and even though I enjoyed it a lot there were Trek fans who didn’t, claiming it was too slow moving. 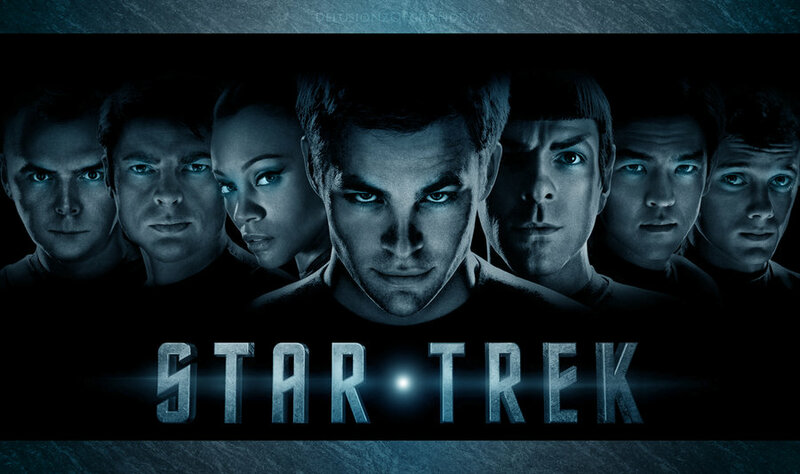 Let’s face it, the STAR TREK movies that have garnered the most box office and the favor of fans and critics have been the more action oriented ones. Hopefully with the next movie we’ll get more into the exploring strange new worlds, seeking out new life and new civilizations that is really the meat of what STAR TREK is about. But as a launching point for a new series of STAR TREK movies, this is terrific stuff.